Can you Find the Golden Egg Box? There are 5 to find – will your order include the golden egg box? As Easter is approaching, we decided that we would do something a little fun! It’s a sort of a treasure hunt, (but sadly the egg boxes are not made a real gold) and there are 5 egg boxes to find. 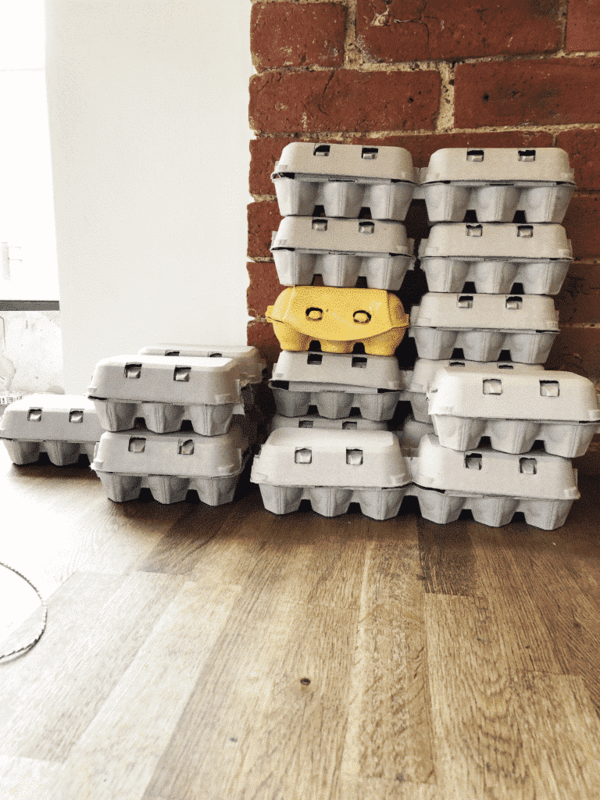 If your order arrives, and you find you are a lucky customer with a golden egg box, you will win a surprise! 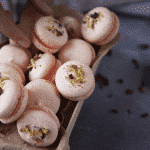 If your Easter Chick biscuits arrive in a golden egg box, look for the sticker on the inside of the lid. Follow the instructions on the sticker to win your surprise! 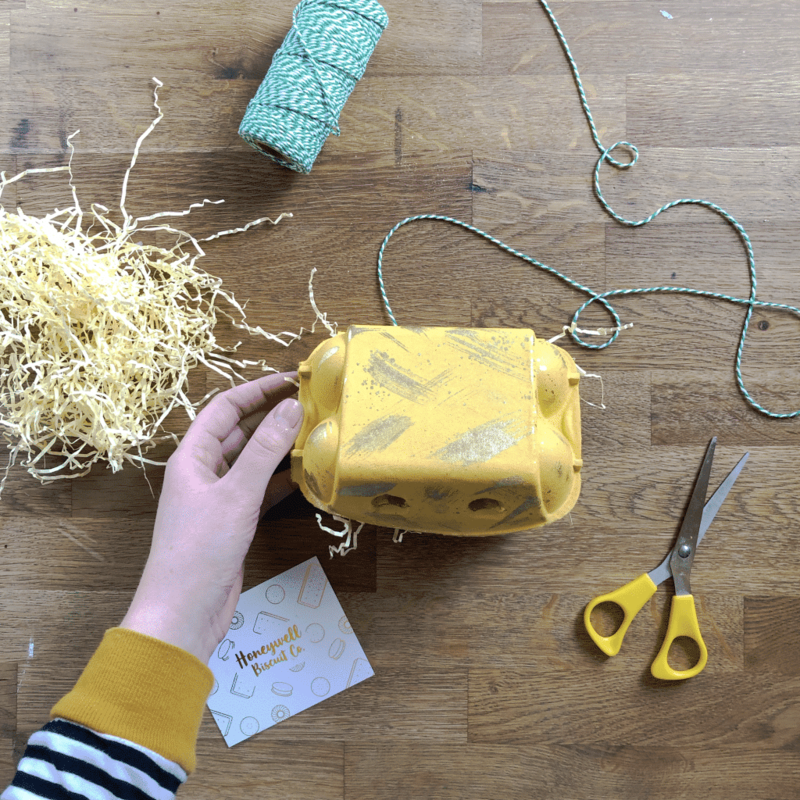 Golden egg boxes have been randomly used to package 5 orders – will you find one? Want to join the hunt? 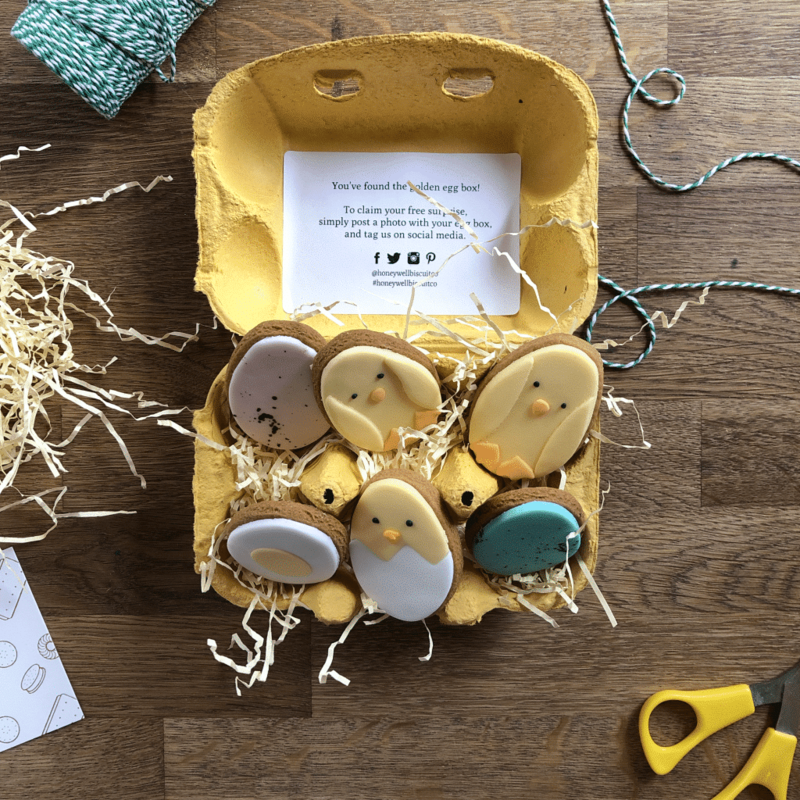 You can order your Easter Chick biscuits here!